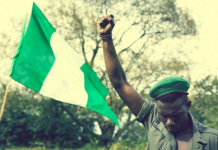 OPINION: TERRORIST MASSACRE OF SOLDIERS IN METELE: IS NIGERIA’S WAR AGAINST TERRORISM, WANING? My heart goes out to the families of the slain galant soldiers in Metele, Borno State, north east, Nigeria. I feel obligated to write this essay because my late father, David Ebiye Onyibe was a soldier. As such, l have affection for men and women in uniform who have for obvious reasons continued to occupy a special place in my heart . And since l have also only recently, personally suffered the loss of a beloved teenage daughter, Kikaose , l can understand the grief of the families of the heroes who died defending their motherland. For too long , the military, and political propagandists in the present administration have regaled Nigerians with the claim that the dreaded Boko Haram insurgents have been highly degraded if not defeated.But the sad and sordid loss of soldiers in their numbers on November 18 in Metele has exposed the falsehood . The politicization of the war on terrorism in Nigeria is absurd and probably responsible for the systematic and insidious attacks on army formations in the north east by terrorists just to put a lie to the false claims of victory by some unscrupulous members of the military high command and garrulous politicians. For instance, at various times, the military forces under the present regime had claimed to have killed Abubakar Shekarau, the leader of Boko Haram, currently believed to be the world’s deadliest terror group. But each time they made the statement , Shekarau sent video broadcasts to debunk the claim. The evidence adduced by the govt in power to justify their claim of having delivered on their election promise to end religious insurgency is that Boko Haram no longer hold territories as it did before the ascension of All Progressive Party, APC to the throne in Aso Rock villa, seat of power. Until the current resurgence of terrorists that has left in its trail a conflicting number of soldiers as casualties (39-118 depending on the political leaning of the commentators) exposed their lies, they use to buttress their claim of victory by stating that terrorists are only engaging in sporadic attacks on what they conveniently describe as soft targets. Given that the cardinal purpose of govt is to safeguard lives, is the loss of any civilian or Nigerian armed forces personnel to terrorist attacks not grievous enough to impassion our leaders to empower our armed forces to wage an effective and well funded war against insurgency? For sure, Nigerian politicians are not the first or only ones to exhibit false sense of victory over terrorists. On May 1, 2003, barely one month after the invasion of Iraq by the USA led allied forces in April, then president,George W. Bush Jnr declared an end to major combat operations in the war. Unbeknownst to him, lraqi military and Al Queda fighters had melted into the inner recesses of Baghdad to take cover under the pine trees of the Euphrates from where they launched an asymmetric warfare against the invaders. Since the mainstreaming of the unconventional warfare system during the invasion of Iraq by allied forces in 2003, it has supplanted the conventional warfare or traditional battle ground concept. Just at it is currently the case with Nigerian military, the allied forces who were at that time only used to conventional warfare, were overwhelmed by the terrorists who had suddenly changed the game. Consequently, it cost the USA led allied forces serious loss of lives because they were unprepared for such unconventional warfare. And it was a sort of throw back to the horrific experience that the USA army had in Vietnam, during the Indochina war of 1954/1975. I’m comparing both because it may be recalled that when the USA joined the war civil war between north and south Vietnam , it was confounded by the guerrilla warfare tactics which the Vietnamese had mastered and why American soldiers who didn’t know the terrain can’t forget Saigon, a notorious theatre of war where it suffered heavy casualties. Similarly, during the Iraq invasion 2003-5), the frustration and demoralization were so much on the armed forces who were losing the battle due to the complexity of asymmetric warfare system which they had no concrete idea of how to manage , that some countries like Italy withdrew their armed forces. Not until armaments like drones to counter the insurgents who were very mobile were developed and deployed to rein in the new terrorists groups like Islamic State of Iraq and Levant, ISIS, the allied forces were on the losing side as is currently the case with the Nigerian military which seem to be flat footed against the agile and technology savvy insurgents. Today, Al Qaeda, ISIS and other strains of terrorist groups have been highly degraded in the Middle East simply because the correct strategy and tools with the ability and capacity to literally zap the terrorist leaders with drones etc were deployed in prosecuting the war. Unfortunately, such cherry news of victory is not yet the narrative in Nigeria. And that’s simply because, Boko Haram or its new variant, Islamic State West Africa, ISWA (which has claimed allegiance to Abubakar Al Bagdadi the ISIS leader) has gone high-tech, while it is still being engaged by Nigerian military in the same conventional warfare strategy which the forces that invaded Iraq applied and failed in the Middle East until they adopted the right strategy. I have just read a comment in the media attributed to the chief of army staff, gen. Tukur Buratai who reportedly stated that no military in the world ever has the complete equipment to fight with. That may be true, but are we talking about complete , obsolete or the appropriate equipment? It boggles the mind that our military still parades archaic warfare armaments like T-72 ancient relics tanks despite the recent appropriation by the current Nigerian parliament of a princely sum of one billion dollars less than six months ago for the prosecution of the war on terrorism and which the executive arm of govt has utilized. 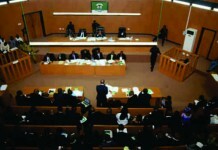 The current probe instituted by members of the lower chambers( green chambers) of the National Assembly, NASS on the wanton killing of soldiers must have been motivated by their dissatisfaction with the mismatch between the huge sums invested and obsolete equipment exposed in the video of the unfortunate incident in Metele which the military has declared as fake. The suspicion that the terrorists that struck in Metele and have been hitting military formations over a period of time may have the intention of proving to Nigerians and indeed the world that terrorism is still alive and potent in Nigeria is derived from the trend analysis which reveals that in the past few years, terrorists have stormed at least 22 military bases and barracks around the theatre of war and killed hundreds of soldiers, while carting away huge caches of arms and ammunition. Although the military in a media statement has admitted that only 39 soldiers have been killed by insurgents in the past three months, shifting the blame about the carnage in Metele to the multinational joint military task force, is repugnant and cheap in my judgement. Great soldiers don’t hide behind smokescreens but take responsibility. If in doubt go and read about Gen George Smith Patton Jnr who commanded the US army during World War II (1939-45). He is credited with the following quotes: ”lead me , follow me or get out of my way ” and “Do everything you ask of those you command” amongst others. Obviously, Boko Haram and related terrorist groups have been taking the battle to the armed forces as evidenced by their deadly strikes in the heart of their operational headquarters, and the most recent of which is massacre of soldiers in Metele, near Chad Republic. Given the above scenario, are the terrorists not making their audacious point poignantly? Whatever the case may be, one thing is clear about the continuous and unfortunate deadly attacks on military formations. Terrorist are no respecters of any Nigerian leader . Be the person , a former academic/ lecturer like Goodluck Jonathan who became president of Nigeria (2010-2015) or Muhammadu Buhari, an ex army general who is currently holding sway in Aso Rock villa. The reason for highlighting the point above is that in the run up to the 2015 election that ushered in President Buhari into office, much song and dance were made of the fact that as a military general, the opposition candidate had the blue print of how to eliminate the acts of terrorism, so the incumbent president should step aside. It may be recalled that the immediate past govt had deployed South African mercenary or soldiers of fortune in sambisa forest, the home base of Bokoharam to tackle the terrorists in their home stead which seemed to have been yielding positive results. But the strategy was met with heavy criticism and condemned by then opposition party, APC . So also was the shopping around for arms from unconventional sources by the Goodluck Jonathan administration, which was botched following the seizure of a chartered Nigerian jet in South Africa laden with cash meant for purchasing armaments from the black market. Having been frustrated by lack of legitimate access to arms market, it adopted a stop gap measure to overcome the challenges stemming from the restrictions imposed by the Leahy law, an act of the congress of USA which forbids the sale of arms to countries with potentials for human rights abuse . Again, the initiative was condemned widely after the seizure of the airplane and cash by South African authorities . The narrative then was that it is weak to solicit the assistance of foreign forces in the war against terrorism. 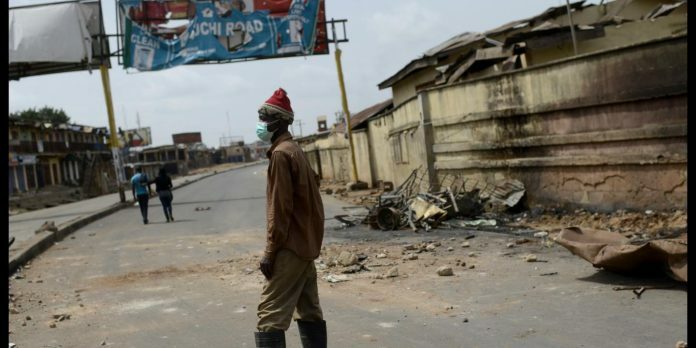 As a strategy to defeat insurgents, at a point, after assumption of office, President Buhari even directed the military top brass to relocate their headquarters to Maiduguri, the capital of Borno State, where terrorists have continued to exact the worst damage to lives and properties. As welcoming as the measure was to the ordinary folks, the truth is that setting up command and control in the theater of war which seemed to have been a good strategy to those that can best be described as old soldiers currently Incharge of the military, is a non starter. Except the aim of the army forces contingent is to occupy a liberated location, moving the army to the frontier of war without fortifying it, is simply suicidal. That’s because such a traditional Military tactic has proven to be outdated and as such akin to applying analogue technology to solving a digital challenge. Even the chief of army staff, Gen Burutai in trying to absolve the army of blame after the Metele attack, reportedly admitted that insurgents are now using drones and other high tech armaments. I need not remind us that non of such sophisticated equipments exist in the armory of Nigerian military. Little wonder that despite the deployment of a plethora of archaic tactics like moving soldiers to the ground zero of the war and doing so with equipment like the T-72 tanks , no substantial success has been recorded . Disappointingly, with a total disregard for the facts on ground , the govt in power and its military generals, who the terrorists have outsmarted and outgunned have like ostriches (that bury their heads in the sand and assume that they are completely hidden) been gloating over phantom victories. While they are doing so, the terrorists have been embarrassing them via the high carnage of military men and women murdered in cold blood essentially owing to the lack of application of proper strategy in the prosecution of the war on terrorism. How many more soldiers would die before Nigerian political leadership and military apparatchik realize that their current method is outdated? With the current occupant of the White House, the USA seat of power, being not focused on human rights issues at home and abroad which is in consonance with the America First policy of president Donald Trump, the Leahy law which prevented the previous regime from acquiring arms legitimately, was waved and over $500m was hurriedly invested in the acquisition of super Tucano attack helicopters from the USA. The fact that the hefty sum was paid to the USA without first of all obtaining parliamentary approval created a furore that was eventually resolved. However, it was not lost on critics that it was probably a pre condition for an invitation of President Buhari to a state visit to the USA by president Donald Trump whose foreign policy seems to be driven by economic interests as opposed to human rights. The question is: in the light of the loud complaint by the military as conveyed in the video of combatants in the theater of war which has gone viral, are the super Tucano attack aircrafts which have been ordered, the priority armament needed at this point in time or the purchase was made to gain an invitation for president Buhari to visit the White House and be the first African head of state to be hosted by president Donald Trump? DasukiGate arms deal scandals, have arms dealers not taken flight or gone underground for fear of being victimized? As at today, Sambo Dasuki, the former National Security Adviser, NSA to president Jonathan is still under detention ostensibly on account of his alleged diversion of $2.1b dollars set aside for weapons procurement by the immediate past administration. Considering that the unsavory news about the diversion of the funds meant for arms by the NSA was started immediately after the assumption of office of the present administration, it is a sort of Dejavu for me that a similar scenario has popped up again nearly four years after. Worse of all, it breaks my heart that so many people have to loose their precious lives before corrections can be made, but it simply validates the wise crack: what goes around, comes around. More so because it is in the cavalier manner similar to the currently trending video about Metele debacle that an army major from the war front exposed the lack of arms and ammunition to combat terrorism before the 2015 general elections. Undoubtedly, the scandal was one of the proverbial straws that broke the Carmel’s back for then ruling party, Peoples Democratic Party, PDP. Tellingly, this is happening again despite the sanctimonious indignation exhibited by the present administration, particularly the minister of justice and Attorney General, Abubakar Mallami who only recently reportedly justified the continued detention of ex NSA Dasuki without bail on the excuse that he is being held accountable for the precious lives lost to Boko Haram terrorists owing to his alleged diversion of funds meant to procure armaments for combating the terrorists into slush funds for politics . Arising from the cries by the current soldiers in the battle front about lack of adequate and appropriate armament to prosecute the war (assuming the video is genuine) hence they have become easy prey to terrorists , is the current NSA and indeed incumbent govt not guilty of the same allegations that they have leveled against Dasuki that has resulted in his being incarcerated for about three years? After all, the immediate past Ekiti State Governor, Ayo Fayose amongst other opposition politicians has also alleged that the recent $1b approved by the parliament for purchase of ammunition to combat terrorism has also been converted into campaign slush funds for Ekiti and Osun states governorship elections by the ruling party, APC. Although the claim was made without proof of evidence, the allegation mirrors the so called Dasukigate. By and large, the only glimmer of hope that was still shining for the govt in power , in my assessment was the purported success recorded in combating terrorism which is number two in its three point development agenda of war against corruption and fixing the economy. But with the sustained attacks on military formations with huge fatalities which constitute a bad blow on the morale of officers and men as well as the image of the military, the chance to wear the garland of victory by the ruling party in the area of security and safety of lives and properties, has been diminished. Now, Nigerian presidency has tried to put a spin on the most recent terrorist attack on the military formation in Metele by claiming that it is a breach of security at the Chadian end that should have been maned by Chadian Troops in the USA, UK and France driven multinational joint military task force set up to combat terrorism around the Lake Chad that rendered the camp on Nigerian side vulnerable to attackers. The military has also released a statement that tend to suggest that the fallen Nigerian army heroes were not directly under its command and control but under the leadership of the joint multi national military task force which stationed them in metele. That may be the case with the Metele calamity that has prompted the current public outrage, but how about the 21 previous attacks on military formations by terrorists in Nigeria with heavy casualties in a space of about three years earlier referenced? No matter the burnishing by spin doctors , deadly attacks on soldiers in their temporary abodes in war fronts owing to shortage of armaments to defend themselves is simply inexcusable and unjustifiable. Furthermore, it is inhuman to play politics with lives of soldiers by trying to defend the indefensible which is both egregious and cruel. Very importantly, let’s not forget that the fallen heroes are people’s sons, fathers, and brothers. So the service chiefs should strive to by all means be honest so that their conscience may be clear and not prick them. All said and done, is the current sordid situation that the ruling party and govt in power are caught up in salvageable? Yes, the Nigerian military can regain the lost grounds in the war against terrorism. But, that can only be achieved by adapting the modern warfare tactics required to fight an asymmetric war like the type that terrorists in Nigeria have so far applied in befuddling and mesmerizing Nigerian military forces. Clearly, military personnel don’t have to be deployed in the frontline with obsolete fighting equipment as alleged in the video that has gone viral when it can leverage on the new technology based warfare systems which Gen Buratai, as earlier referenced, admitted is being deployed by the terrorists. Acquiring combat drones and enlisting the services of experts in such warfare is still an option that can be exercised swiftly. 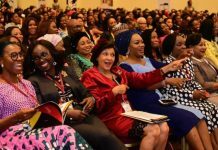 If Nigeria hires experts, it won’t be the first to do so. After all, the USA a super power had hired Blackwater, a private security firm operated by ex US marine officers to serve as mercenaries in Iraq. I can wager a bet that Nigerians would be better off, if the trillions of naira currently being expended on fuel subsidy annually is applied in hiring soldiers of fortune to protect their precious lives from the seemingly unending terrorist attacks, particularly in the north east. But such out-of-the-box and pragmatic thinking would require the handing over of the command and control of the army to the younger generation of military officers who can imbibe modern warfare strategies quickly and implement them much faster and better than the current military leadership who are already set in their ways. Expecting the old soldiers to adapt easily to the changes required to match the terrorists toe-to-toe is expecting an elephant to dance or be as agile and nimble as a monkey. Arising from the above and quite frankly , in my considered opinion, the most honorable action by the present crop of chiefs of the armed forces would be for them to voluntarily offer to the commander-ln-Chief of the armed forces, President Buhari a proposal to step down for the next generation to take over. That would be a sort of political master stroke for president Buhari and the personal sacrifice of the service chiefs towards safeguarding the sanctity and integrity of the armed forces of Nigeria. I’m convinced that Nigerian military is populated by brilliant and gallant men and women who have what it takes to lead a warfare that is technology driven in a fast changing world. But they are not being given the chance hence they are now looking like sitting ducks due to lack of commensurate war strategy and armaments to protect themselves first and repel the terrorists thereafter. To be clear, I’m not making such a game changing proposal as an indictment on the present military leadership. Rather, l’m making the suggestion because it is the most honorable thing for the Service Chiefs to do under the present circumstances to salvage their image. In short, l’m in plain language advocating that the current crop of military service chiefs, literarily fall on their sword. The only snag is that, as things stand presently with barely three months to the general elections , President Buhari’s govt is now effectively racing against time because it did not make hay while the sun was shining. Whatever the case may be, authorities must not allow more Nigerians to die (soldiers or civilians) before the broken security architecture is fixed. *** Magnus Onyibe is a development strategist, alumnus of Fletcher School of Law and Diplomacy, Tufts University, Massachusetts, USA and a former commissioner in Delta State.